Product code: 1033 Categories: Sold Items, Sold Watches. 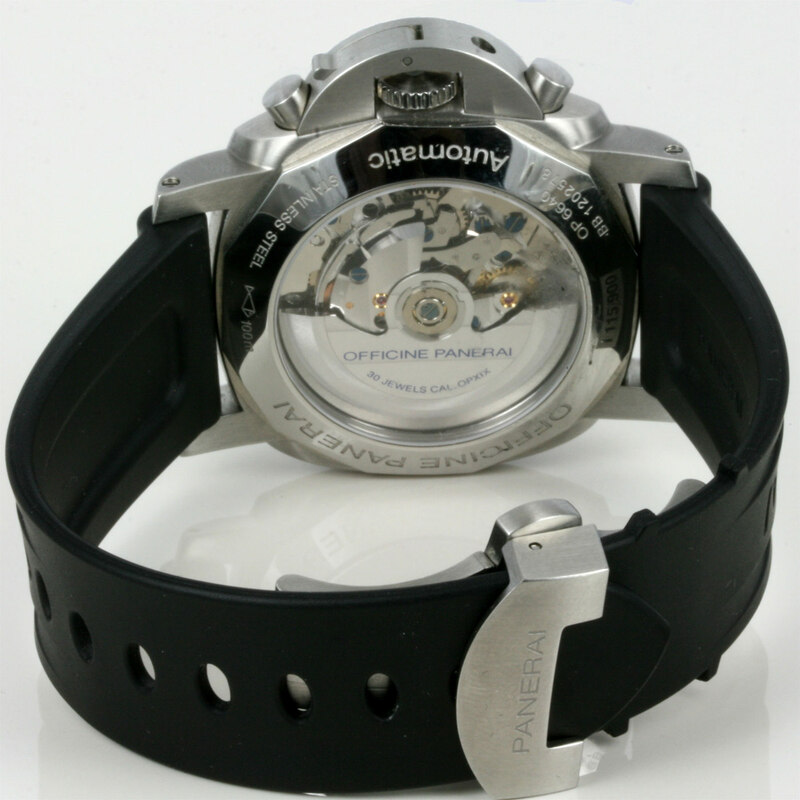 Here is a superb watch by Panerai:- The Paneria Luminor Flyback Limited Edition number 115 of 900. With the case measuring 44mm and the black dial displaying the chronograph function with flyback function, this is a superb looking Panerai. The movement is a 31 jewelled automatic Panerai calibre OP XVIII, with a 42 hour power reserve and is Chronometer certified. Complete with full box, papers, spare strap and tools to change them with the deployment buckle, this Panerai has never been worn and will make all of your friends envious. 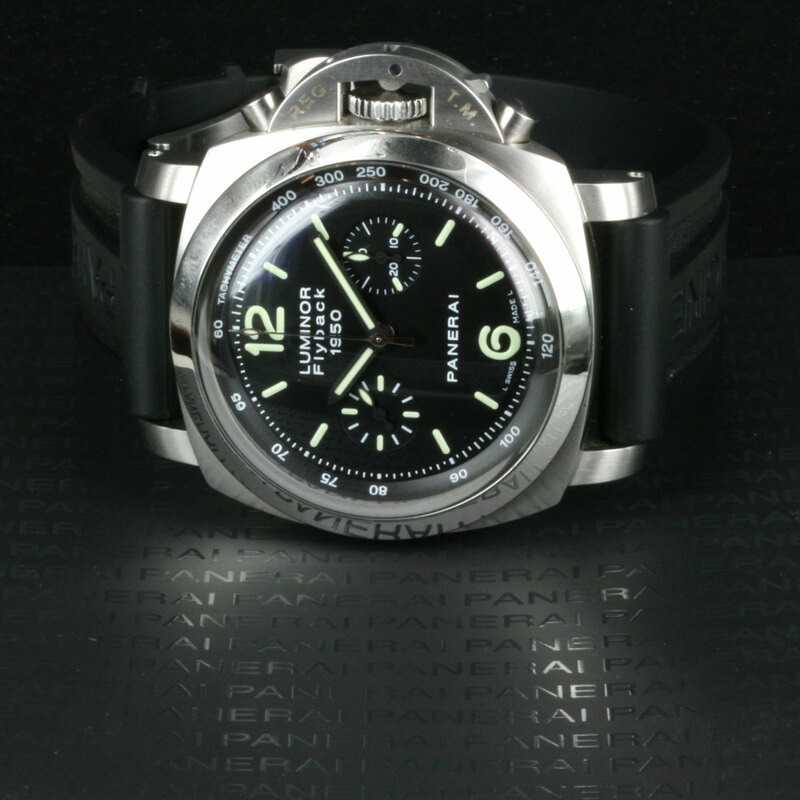 A great Panerai watch. 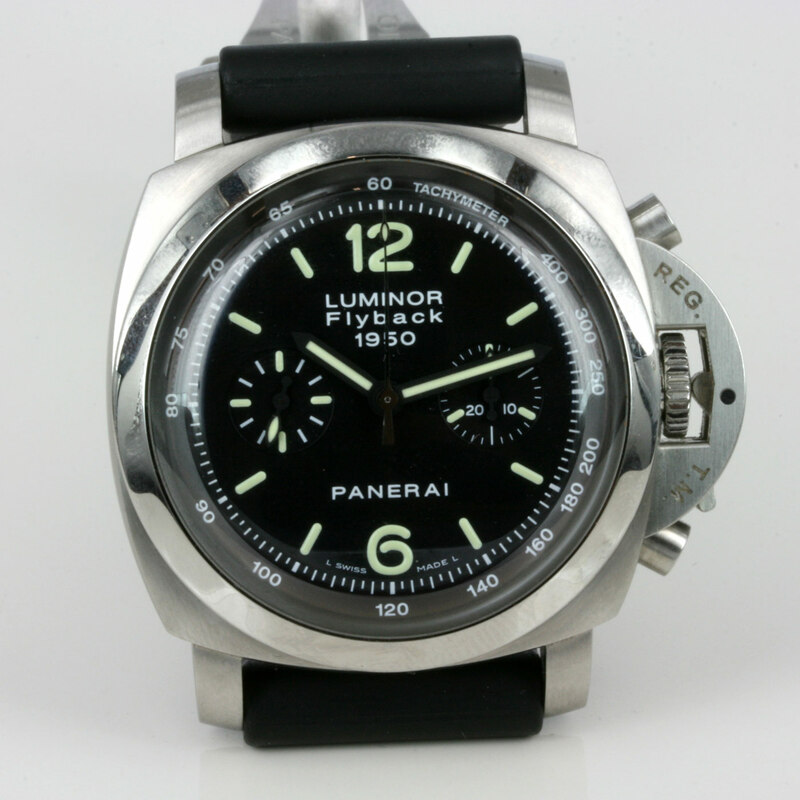 Make & Model: Panerai Lumino Flyback PAM 00213.